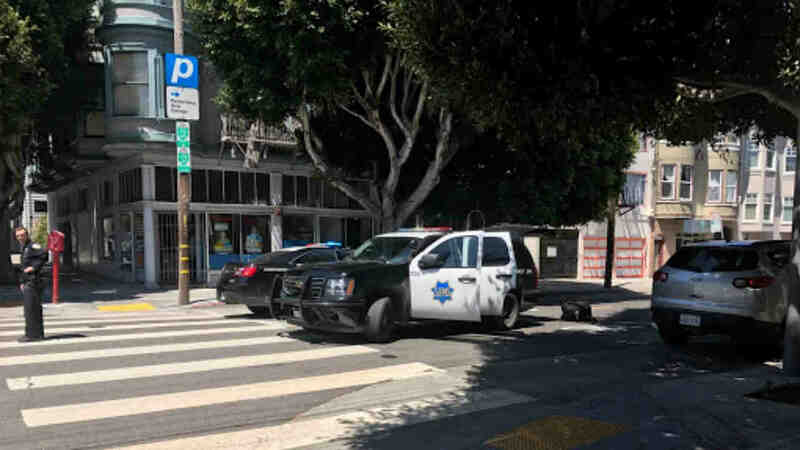 SAN FRANCISCO (KGO) -- Police in San Francisco secured a perimeter as they tried to detain a suspect who attempted to run a plainclothes officer over Saturday afternoon, according to police. The plainclothes officer tried to detain an occupied vehicle when the driver of the vehicle attempted to flee. The suspect vehicle had a collision at Birch and Laguna Streets, where the driver fled on foot into a building located in the 500 block of Grove Street. Police locked down the area while a search for the suspect was conducted.